Our local experts have the experience and tools required to properly install and maintain the most secure lock systems on the market! Many people believe that all locks provide essentially the same protection. It’s the same basic process: insert the key, turn and open the door. So, why should one lock be more secure than another? Well, there are actually quite a few locks on the market that provide additional security that you won’t find with an ordinary lock. They might have different mechanisms, different methods of installation, and other features that set them aside from the typical door locks. Locks are graded by levels of security, with grade 3 being the lowest and grade 1 being the highest. A high-security grade 1 lock provides the best security on the market. These locks may include sturdier materials, anti-lock picking mechanisms, Smart Key options, and more. Because of the increased security, these locks are often harder to install and should only be attempted by a trained expert. They may sound expensive, but the prices are usually quite reasonable for the added security. No need to book an appointment days or weeks into the future. Morning, noon, or night, we’re here whenever you need us. As security experts, we understand that when you need high-security locks, you need them now. When you call us, we’ll be there in thirty minutes or less. You can rest easy knowing that we’re fully licensed, bonded, and insured. There are no surprise fees or charges. With us, you’ll know exactly what you’re paying for. This isn’t a big-name corporation. We’re a small, locally-owned business committed to serving the Houston area. We offer full installation, replacement, and repair services for grade 1 locks, as well as other types of lock services that you will love. We can work on just about anything, from mortise locks to cylinder locks to deadbolts. And if you need additional help, we offer a wide range of services from key repair to car fob replacement to security system installation. We can even help you if you’ve locked yourself out of your house, car, or office. 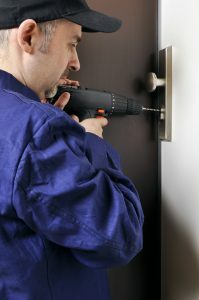 If you need a commercial, residential or emergency locksmith, we’re always available. You can call us anytime of the day or night, or you can fill out our online service request form at your convenience. At Houston Locksmith Pros, we’re dedicated to providing you with the best locksmith services in the area. Whenever you need a local locksmith, don’t hesitate to contact us. We’re proud to take your business. Are you new to the Houston Area? If you just moved to the city, or have been here for years, be sure to check out all of the exciting events in the Houston area!